A Chance in Life (ACL) is the international extension of Boys Towns of Italy, Inc. The United States based charity, in service abroad since 1945, supports programs for children and young adults,emphasizing the role of youth as protagonists in their own growth and development and that of their community. 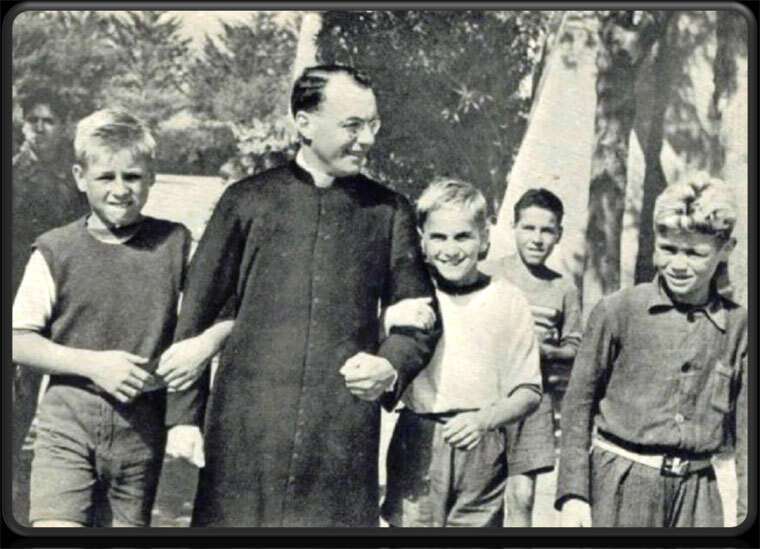 It continues the work of Monsignor John Patrick Carroll-Abbingas expressed in the self-governing youth communities he founded in Rome and other parts of Italy. These youth villages, once the home to the orphans of World War II, and then communities for teens from broken homes, eventually became the receiving centers for hundreds of youth fleeing the wars, famines, and political unrest of a troubled world. In recent years, the Board of Directors of A Chance in Life, with the leadership of its president, Gabriele Delmonaco, has reached out to lands from which young people are fleeing. The goal is to support the development of initiatives that will foster possibilities for these children, teens, young men and women, to create a future for themselves in their own homeland. It has touched into the lives of poor children in Ethiopia and India,assisting existing works to expand their impact and outreach. ACL offers consultation, professional development and financial support. In late May of this year,Mr. Delmonaco welcomed the invitation of Brother Hugo Cáceres, CFC, Latin American Region Leader of the Congregation of Christian Brothers, to visit the ministries of the Brothers in Peru and Bolivia. Elser Llanos, coordinator of the LAR development office,arranged an engaging experience of projects reaching out to the margins of society. An overnight bus ride from Lima to Chimbote brought the visitors to Collegio Mundo Major, a remarkably successful school ever extending its offerings to accommodate the poorer children of this fish processing city. Beyond the city is a new area created by the “invasion” of hundreds of families who came hoping for employment that never materialized. Typical of the community engagement model that has characterized the development of the Brothers’ ministries in Latin America, two brothers, Charles Fitzsimmons from Chicago, and Edward Sean DiFiglia from New Jersey, have set up a modest home base in the midst of the confusion, engaging in a shared effort to create a better tomorrow. They are paying particular attention to the need of the children for educational and cultural stimulation and the dynamics of families overwhelmed by stress. 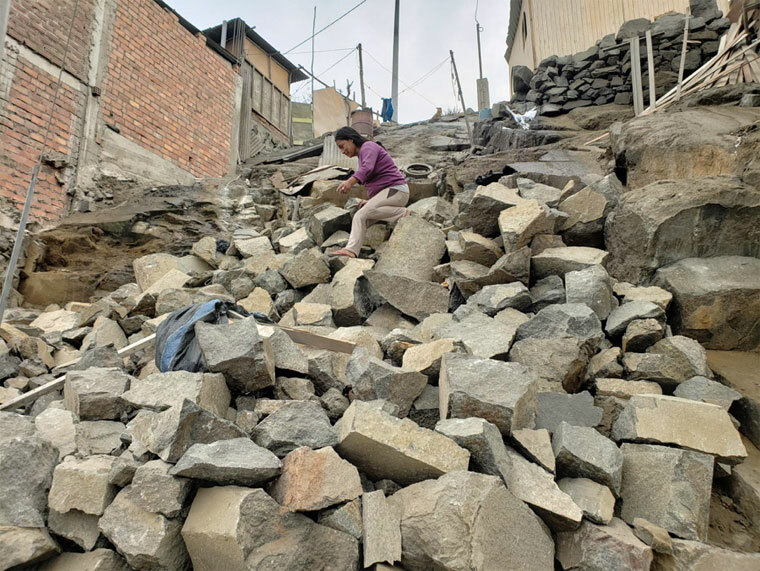 The next stop was the Fe y Alegria school in the Canto Grande section of Lima, and the surrounding rock hills where many of the houses were constructed by mission immersion groups from the Brothers’ schools and colleges in the United States, Canada, Australia, Uruguay and Argentina. Mid-journey, Mr. Delmonaco was moved to send the following Constant Contact to ACL Board, benefactors and friends. What is señora Carmen doing on top of those rocks in San Juan de Lurigancho in Perú? She is simply leaving her home to go to the market to buy food for her family. Her house, a shack made of scrap materials, was put together overnight on a hilly area near Lima. Br. Sean Moffett and I visited several of these shacks, like the one of señora Carmen. A family of five or more lives in one room with no water, no sewer system and sometimes no electricity. Children play with abandoned tires or homemade soccer balls on the dusty streets. Nearby, down the hills, the Christian Brothers provide their services to the “Fe y Alegría” (Faith and Joy) school where most of these children can get an education and a nutritious meal every day. The requests from these desperate families cannot be met by the Christian Brothers alone and A Chance In Life is considering supporting them. “We work where the paved streets end and the desert begins,” said Br. Richard, a volunteer at the school. And in San Juan de Lurigancho, there is a vast desert filled with families whose children are looking for a chance in life. Let’s change that. Together we can. The message preceded a visit to the Centro Hermano Manolo in Cochabamba, Bolivia. Welcomed by one of the recent graduates of the program, Mr. Delmonaco, was struck by the similarity of this work to the initial post-war project of Monsignor Carroll-Abbing, “L’Albergo Sciusia” – the hotel for shoe shine boys. Again it was a train station and its surrounding markets that provided children with opportunities to eke out an existence earning the cost of their daily bread by efforts, legal and non. Here he experienced a clarion call for A Chance in Live to become engaged in this labor of love. On June 12, 2018, the ACL Board of Directors enthusiastically welcomed the proposal to extend its mission to the Latin American Region. Initial grants will focus on Centro Hermano Manolo in Cochabamba, Bolivia, and the Proyecto Alcanzando Nuevos Horizontes in Nuevo Chimbote, Peru.